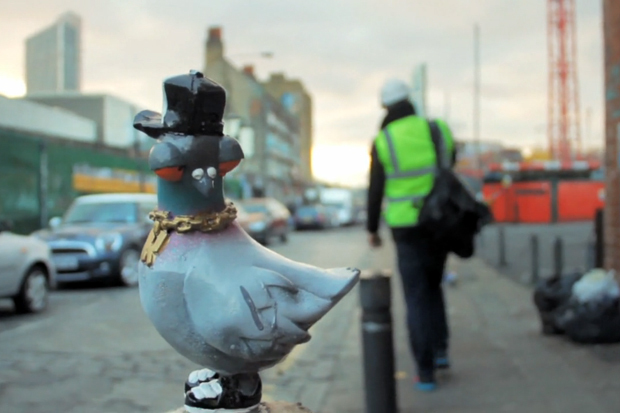 VNA Magazine present this short video feature with London’s Ronzo, following the man in the creation of his ‘Birdz’ pigeon sculptures and their placement on the streets of London. Anyone who’s wandered the Shoreditch/Brick Lane area will no doubt have come across Ronzo’s work on one street or another – his ‘Credit Crunch Monster’ is as much an London landmark as anything else – with the Birdz being his latest work. You can read more about Ronzo in the magazine’s current issue, available from VNA now, where you can also enter a competition to win your very own Birdz scuplture.